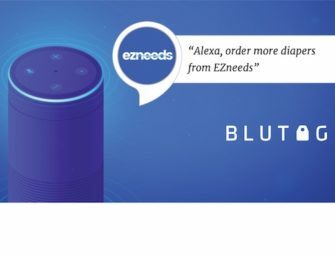 Anker makes an Amazon Echo Dot clone called Eufy Genie that is selling for $19.99 today on Amazon.com. That is a discount from the regular list price of $34.99. At the $20 discounted price you can officially purchase 17 of the Eufy Genie devices for the same price as the Apple HomePod although the sound quality may be slightly less robust. Does price matter when it comes to smart speakers? Well, yes. Amazon, Google and Microsoft want to have low-cost smart speakers to make access as ubiquitous as possible for voice assistants Alexa, Assistant and Cortana. That is why Amazon and Google have the sub $50 Echo Dot and Google Home Mini that they frequently discount by 20-40%. Even Microsoft now has a low-priced Echo Dot-like device with Cortana for Mandarin speakers in China. That device is manufactured by Xiaomi and sells for about $30 making it inexpensive even for the Chinese market. Proliferating usage of the voice assistant is a more important goal than device revenue. Monetization for Amazon, Google and Microsoft will come based on frequent and repeated consumer use. Those habits will lead to revenue generating activities such as voice commerce, advertising and loyalty to company products and services. As a result, the voice ecosystem leaders don’t want price to be a barrier to adoption. They simply want as many access points as possible for their voice assistant. In this way, a Eufy Genie discount is precisely what Amazon hopes for when it enlists device partners. Anker by contrast must make its return through product sales and the margins must be slim. ABI Research estimated that the component costs for an Amazon Echo Dot were $31. The Eufy Genie may have different components and be less costly to manufacture, but they are also not benefitting from the economies of scale and purchasing power that Amazon has through its higher volume of Echo Dot sales. My best guess is that Anker is selling Eufy Genies today at or below cost in hopes of either selling off excess inventory or capturing new customers that might then purchase the company’s higher margin smart home devices. Consumers and Amazon are both the beneficiaries today.